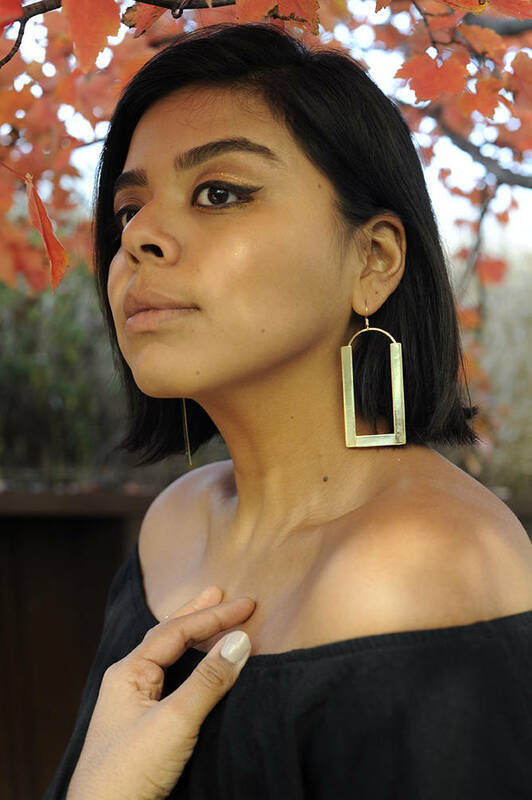 These beautiful drop earrings are a perfect combination of edgy and sleek and highlight the designer's love of geometric form. Earrings have gold filled wires and are light and comfortable to wear. Long earrings measure 3" in length. Medium earrings measure 2.5" in length. Short earrings measure 2" in length. These are going to make a great gift. Order arrived beautifully! My daughter loves these earrings! I will work with you to track down packages that you have had sent with a tracking number. If something arrives damaged due to packaging, I will repair or replace it. I want you to love your new piece. If you don't, simply convo me and send it back within 7 days of receiving item and return item within fourteen days of delivery. If you decide to return an item because it turns out to not be to your taste, I will refund your purchase price, but cannot reimburse for shipping in either direction. Items must be returned within 14 days of delivery date. I ship packages within 7 business days from purchase date. TRACKING NUMBER: I generally ship with a tracking number. You will see several shipping options offered when making your purchase, all options come with tracking number.